Want to add some flexibility to your favorite leather chaps, then, have a look on below given fantastic tips. Undoubtedly, leather chaps looks superb, but if you planning to wear them on a rived, then you need to make it flexible enough for your comfort. The chaps that are body hugging can be too tight at the knee and might make you uncomfortable while riding. Also, by wearing such fitted chaps can be at times difficult for you to weigh down or saddle on back of the bike. The finest quality the leather is, it would more is its firmness which may make even more complicated for you to stretch such fabric. However, following the below given steps can help you in stretching the leather chaps. By making use of leather oil simply condition the chaps. Avoid overdoing it as this may worsen the leather fabric. A bit of oil is enough to spread throughout the fabric, allowing them to stretch with ease. After this, keep the chaps in the dry, warm place so that the oil gets absorbed. Do not place the chaps directly under the rays of sun as this make the color of leather to fade. You can choose the room that gets too much of heat from the sun. Use it often even though if you are not riding as wearing it regularly can make the fabric more flexible and easy to stretch. Also, try to use them when you simply sit on the couch and watch television as this is stretch out the knee area of the chaps. Kneeling continuously after wearing leather chaps can also be helpful. Ensure that you are at the soft surface while kneeling as this will avoid any scratches on the leather chaps. Sink back and kneel down with your bum on your feet and them give them a pull. Pay heed to how much your chaps are getting stretched out. If you are kneeling too much, the knee portion of the leather chaps may get over stretched. Depending on the tightness of your leather chaps, this position may make you pretty uncomfortable till the time it gets stretched out. 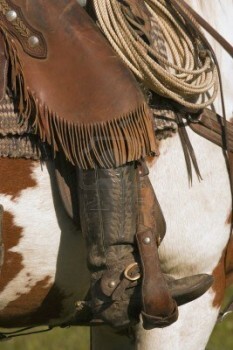 Wear pants with the leather chaps for the fact that it may get too stretched out at the knee. 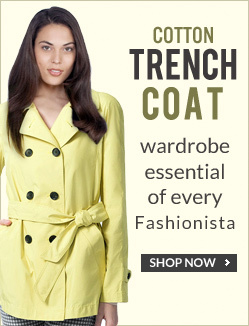 But wearing it with pant will not stretch it more.